I’m always optimistic when I have the break to drop weight without killing myself. I have to admit I’m not the “exercise” sort of human being; I would rather count my calories as an alternative of running the whole track to lose weight. It might too long to lose them, however I have the chances to enjoy all the foods I eat without not gaining since I choose to eat in moderation. I am evaluating the Skinny Jane protein shake, which is good for 7 days. I want to see if this works for me; every so often we can’t tell if the product works for us if we not at all tried them. So, I’m just ecstatic that I will be sharing with you my experiences. I ordered the product sample through Amazon.com, which you may also order through their website @ http://skinnyjane.com/. 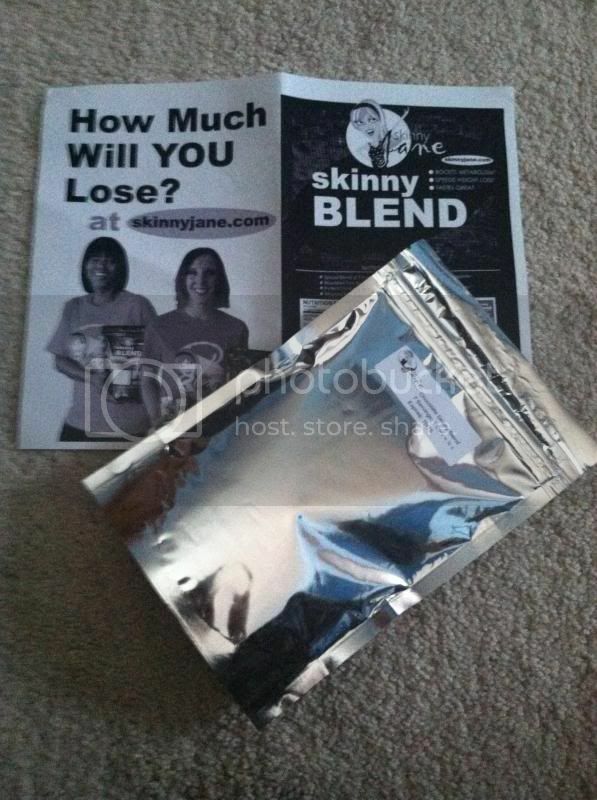 Skinny Blend - 7 Day Sample (packaged in a sealed mylar like bag) is the best-tasting weight loss shake on the market! It has a special blend of 7 proteins that will curb your appetite for up to 4 hours and energize you. One serving has just 100 calories, only 1 gram of sugar, 3 grams of fiber and 12 grams of protein. Plus, it is made with MCT oil, which helps you burn body fat and is great for your immune system. Skinny Blend will boost your protein intake so you keep your metabolism high while you are losing weight. You will love the Skinny Blend Shakes! The 7 days sample bag comes very handy, how to make the protein shake? Very simple, all you have to do is blend 7 tablespoons of skinny Jane into a Skim milk. I used 1% milk, as I don’t have Skim milk at home, I choose chocolate as it comes with different flavor and chocolate is my favorite. Blending is fast and easy, especially if you have a nice blender at home. The protein shake is absolutely delicious, no crams in the mixture and instantly I can enjoy my shake knowing that I’ll be able to lose weight might not that much as long as I’m losing it. I am sure that I might not lose a massive amount of weight as the challenge and sample given is only for 7 days but I’m still hoping. The idea of the sample bag is to experience what I can contribute to the products. The taste is delicious for me. Good luck, t= don';t forget to update us how much you lose so we can try this for ourselves . Is it working yet? Share us your progress okay? I always wonder about shakes and always afraid to try them because of the taste and textures. Sounds like you like it though. Same here. I always wonder about those types of shakes. Glad to know it tastes good. Sounds like a great way to help loose some unwanted weight. I am taking protein shakes once in a while too :) They are nice to drink before workouts.